While the odds are still stacked in favor of bitcoin’s bears, a level of indecision looks to be creeping in, according to the technical charts. The cryptocurrency fell to a 6.5-week low of $7,142 on Bitfinex earlier today, having breached the 50-week moving average (MA) support for the first time since 2015. Amid the continued drop in prices, though, the charts show a doji candle formed yesterday, indicating that the bears may be running out of steam and a short-term rally could be on the cards. 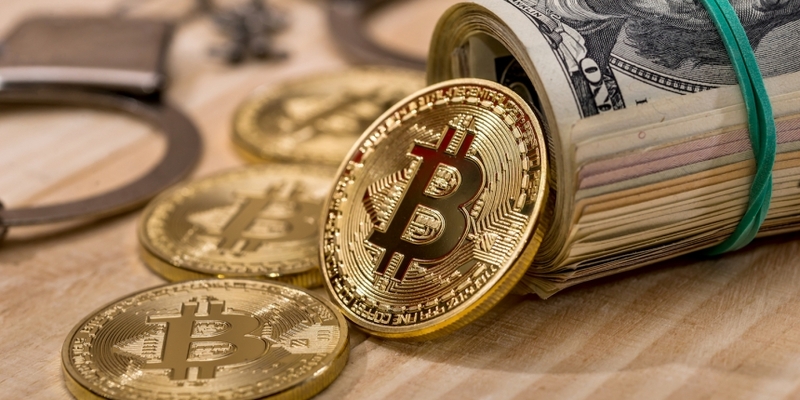 As of writing, BTC is changing hands at $7,210 – down 16.58 percent from the last Monday’s high of $8,644. The pennant breakdown, a bearish continuation pattern, on the 4-hour chart indicates the sell-off from the last Monday’s high of $8,644 has resumed and opened the doors to $6,800 (target as per the measured height method: pennant range subtracted from breakout price). The 50-candle, 100-candle, and 200-candle moving averages (MAs) are aligned in favor of a further drop in prices. On the daily chart, the 5-day and 10-day MAs are trending south, indicating a short-term bearish setup. A series of lower highs and lower lows also indicates the bears are in control. The relative strength index (RSI) is holding slightly above 30.00, signaling just enough room for another $200 drop in BTC prices. The first weekly close below the 50-week MA in nearly three years only validates the argument that the long-term bull market has ended. The relative strength index (RSI) has also rolled over in favor of the bears, while the 5-week MA is set to cross the 10-week MA from above, signaling a bearish crossover. Clearly, BTC is on the defensive, still, there is merit in being cautious as the cryptocurrency created a small doji candle on Sunday (as seen in the daily chart) at the key 76.4 percent Fibonacci retracement level of $7,209, indicating bear indecision in the marketplace. Thus, a minor corrective rally could be in the offing if bitcoin posts gain today (bullish doji reversal). BTC looks set to test the psychological support of $7,000. Acceptance below that level would expose the April 1 low of $6,425. An unexpected close today (as per UTC) above $7,425 (doji candle high) would confirm a short-term bullish doji reversal and allow a minor corrective rally, possibly to $7,800–$8,000. Only a convincing move above the weekly 50-MA would abort the bearish view. Meanwhile, a break above $9,990 (May 5 high) would imply a bullish reversal.